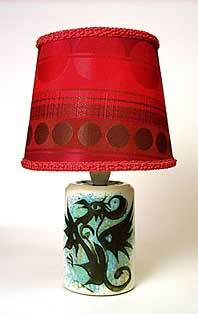 Celtic table lamp - 5½" (139 mm) high. We just had to leave the fab sixties shade on for this one to have its picture taken. The height is to the top of the ceramic body.